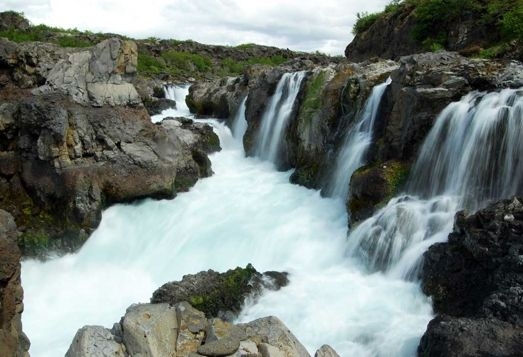 Barnafoss is just a short walk away from the beautiful Hraunfossar waterfalls, where water streams from underneath a lava field. 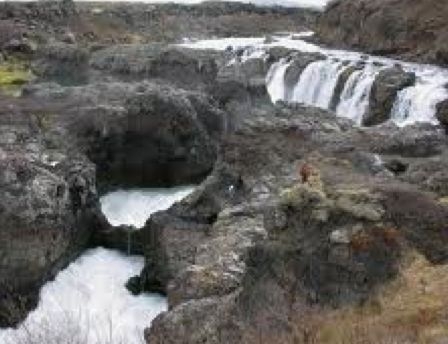 The Barnafoss waterfall is locally translated as the 'children's waterfall' and is named after an old myth that shrouds the site in mystery. The story goes that two children, who lived in a nearby farmhouse, were playing on a rock archway that crossed the river many years ago. 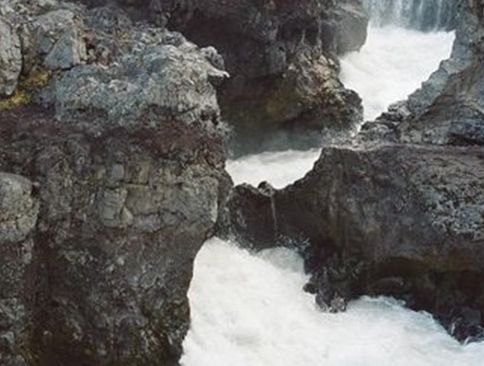 Whilst they were playing, they both fell and met their end in the waters of Barnafoss. The children's mother, stricken with grief, had the arch destroyed so no one could ever cross it again and suffer the same fate. 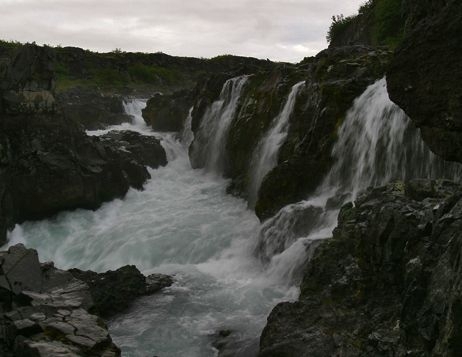 Barnafoss is a 55km drive away from the town of Borgarnes on the road 518. This is roughly half way between Reykholt and Húsafell, and is a good stopping point, whilst travelling across these isolated and empty landscapes. There is a short trail from the car park up to the waterfall, across uneven terrain, so make sure you have appropriate footwear for this part of the walk.